PAUT/TOFD/RT/MT/PT/UT/PWHT for Oil Tank fabrication for NSRP under contract with PTSC Quang Ngai. 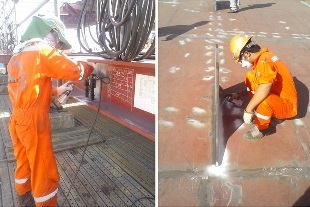 AlphaNDT provide NDT service for Dinh Co GPP with scope of VI, UTM, PAUT for Column C-01. The work is executed in May and June 2015. And always stay informed of the latest Alpha NDT news and events!